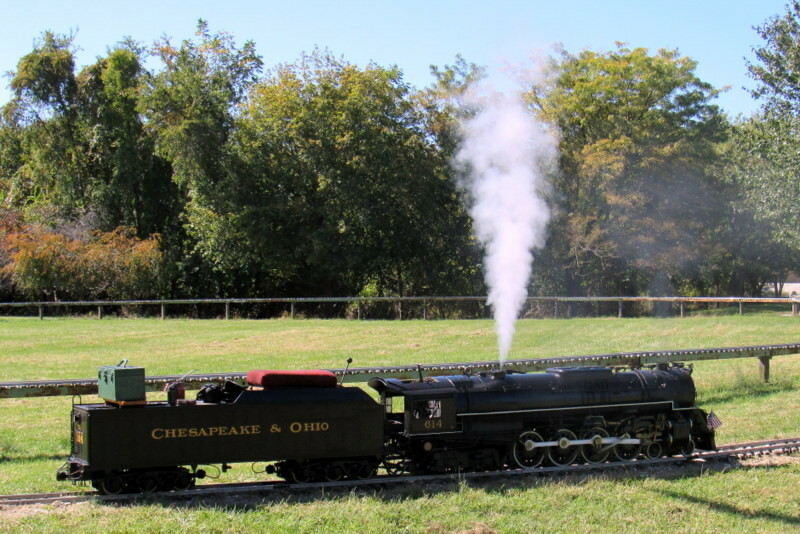 The pops are lifting as C&O 614 has a full head of steam at the Chesapeake & Allegheny Live Steamers, Leakin Park, Baltimore, MD. Photographed by Bill Hakkarinen, October 11, 2015. Added to the photo archive by Bill Hakkarinen, October 11, 2015.